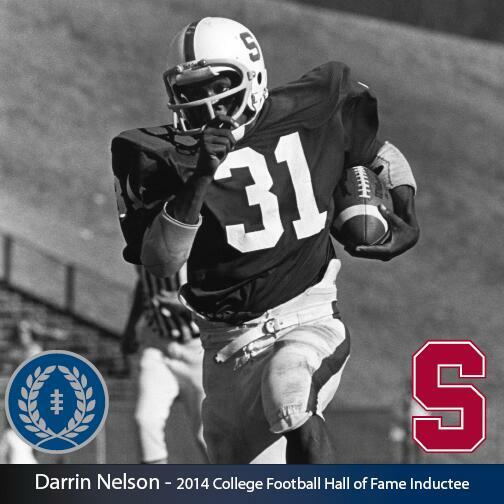 IRVING, Texas (May 22, 2014) – The National Football Foundation & College Hall of Fame announced today the 2014 College Football Hall of Fame Class, which includes the names of Stanford's Darrin Nelson and 13 other First Team All-America players and two legendary coaches. 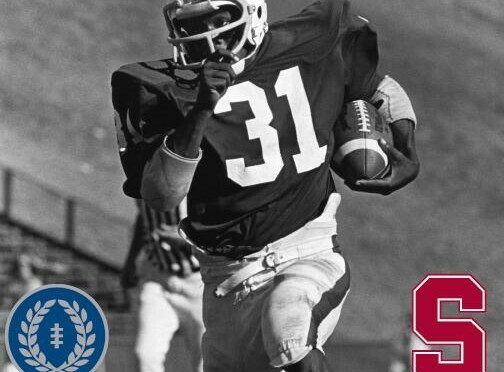 The inductees were selected from the national ballot of 75 All-America players and six elite coaches from the Football Bowl Subdivision and the 87 players and 26 coaches from the divisional ranks. PrimeSport, the leader in providing direct access to the biggest sporting events on the planet, served as the official presenting sponsor of the announcement, which took place at the Omni Mandalay Hotel at Las Colinas in Irving, Texas.